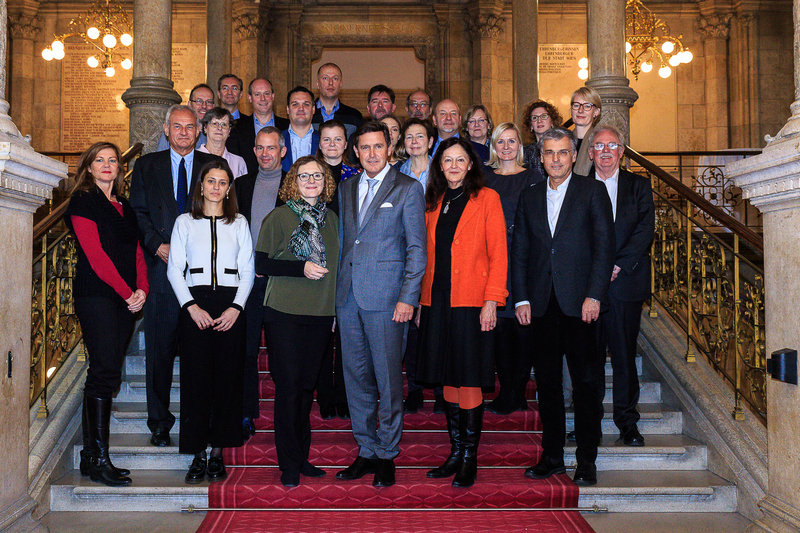 After three years of work, the Housing Partnership in the frame of the Urban Agenda for the EU held its closing meeting in Vienna on December 3rd, 2018 and presented its final Action Plan. At the meeting, the partnership discussed the next steps to be taken on the different work strands. Elena Szolgayová, coordinator from the Slovak Ministry of Transport and Construction, reminded that, as stated in the Pact of Amsterdam, the task of the partnership was set as follows: ´The objectives are to have affordable housing of good quality. The focus will be on public affordable housing, state aid rules and general housing policy. ´”In taking up housing as a topic for an urban partnership, Council has acknowledged that although the EU does not have a direct mandate on housing, its policies have great impact on what cities and countries can do,” said Elena Szolgayová. Peter Hanke, City Councillor for European Affairs and Finances in Vienna, congratulated the partnership to its work and said “it will now be up to the European Commission and the EU legislators to take up the results and start to implement them. Especially with regard to the investment needs of growing cities like Vienna, we will follow-up closely the next steps on EU level.” He reiterated the ongoing support of the City of Vienna to monitor the implementation of the actions and recommendations of the partnership. How to overcome the housing crisis in Europe? The EU has more than 220 million households, and an alarming number of 82 million Europeans are overburdened by housing costs, even at the risk of eviction. Cities, urban areas, regions, countries all over the EU are in need of stable framework conditions to house their populations. They are in search of solutions as how to provide new and renew existing housing, find building ground for affordable housing, develop neighbourhoods in partnership with citizens and set up housing schemes where they are not implemented yet. The overall situation, 10 years after the world economy was hit by the Global Financial Crisis, is characterized by continuous lack in investment – both in new and in renovation of existing housing – and overheated and fragmented housing markets. In its three years mandate of work, Housing Partnership held 13 meetings, 2 workshops and undertook several study visits to housing projects. The Action Plan of the Housing Partnership consists of 12 actions and a general policy recommendation on good housing policy as well as the reference to ERHIN – the European Responsible Housing Initiative – as a good practice. The work of the Housing Partnership is documented on its website. The Action Plan has been already been adopted by the partnership at its meeting in September 2018 in Ljubljana and was endorsed by the Directors General for Urban Matters of the EU Member States in the frame of the Austrian EU presidency two weeks prior to the partnership meeting in Vienna. The full text of the Action Plan is now published as well as a brief description. A range of documents has been produced by the members and the expert of the partnership or commissioned to research institutes, which can be found in the annexes of the Action Plan.